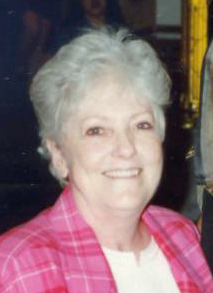 Millie Lou Wood (née Slye), 81, passed away from lung cancer on April 26, 2015, in St. George, Utah. Millie was born on April 22, 1934, in Elsinore, Utah, (also known as Little Denmark) to Ross Abner Slye and Rebecca Luella Larson (née Petersen). She graduated from St. Mary Euphrasia High School in Denver, Colorado, and remained lifelong friends with the nuns there. Millie married and later divorced Wayne Wood in Salt Lake City, Utah, and had two children. She became a focused and respected career woman in insurance during a time where such success for women was difficult to come by, especially for a divorced mother. Millie moved to St. George, Utah, in 1989, still working for the Leavitt Group Insurance. It was in St. George that she converted to the Church of Jesus Christ of Latter-day Saints, serving as Relief Society President and continuing on in compassionate service. She loved mystery “whodunits,” her many pets, “Judge Judy,” and spending time with her grandchildren. Millie is survived by her son and his wife, Gregory and Marilyn Wood; her daughter, Debra Harrison (née Wood); 10 grandchildren; 15 great-grandchildren; and three sisters. She is preceded in death by son-in-law, Fred Harrison; grandchild, Nathan Dean; brother, Calvin Slye; and parents, Ross Slye and Rebecca Larson. Graveside services will be held Saturday, May 2, at 10 a.m. at Tonaquint Cemetery, 1777 South Dixie Drive, St. George. A visitation will be held Saturday, from 9-10 a.m. prior to services at Metcalf Mortuary, 288 West St. George Blvd, St. George. Millie’s family would also like to thank the Intermountain Hospice team for all of their kindness and support during this challenging time; they were truly angels.